Ensure your celebration is a success! 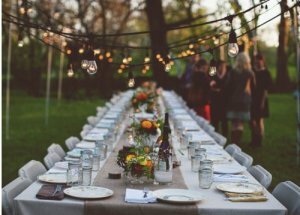 We look forward to visiting with you to get a feel for the special event	you are planning so we can tailor a catering proposal specifically for	you. Your guests will not only enjoy the taste of our delicious food but	their eyes will also be in for a treat when they see the stunning presentation! Our team will work with you to ensure your needs are not only met, but exceeded. We listen to your vision and couple it with our expertise to make sure	that your event is carried out just as you have envisioned! Let our professional	staff handle the details at your event so that you can actually enjoy	the event you have planned.